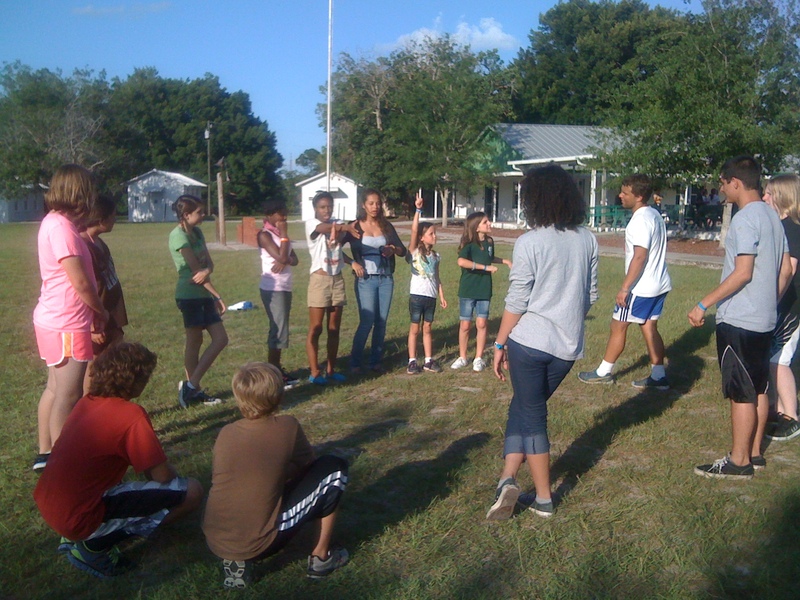 What a wonderful opportunity I have this week to accompany the kids of Brevard County to 4-H Camp Cloverleaf! We arrived at camp safe and sound right at 10:30am and the highlight of the trip over was spotting a little bitty Armadillo around Yeehaw Junction. 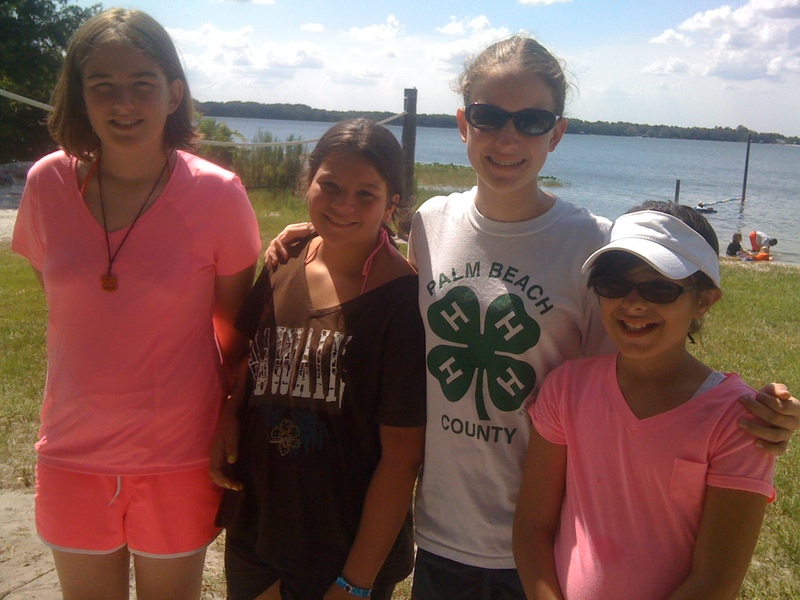 After arriving at camp, we checked in, got to our cabins, unpacked and had a lunch of chicken tenders and french fries. It is so much fun to meet new people! All of the kids are happy and making new friends of their fellow campers and the staff. The afternoon was filled with swim tests, recreation time and canteen. For dinner we had spagetti, garlic bread, salad and a brownie with whipped cream. This evening we're playing "get to know you games", have our flag lowering and and we can't wait for the campfire with "magic dust"! The magic dust was really cool. Each person got to throw it into the fire after making a wish, then watch the fire flare up. It's about 10:30pm now, and I'm making sure all are going to sleep, while sitting at a table out of view to the campers. Tonight is an exciting night and they usually sleep better tomorrow. Goodnight. 11:30. A young man threw up a little while ago (not from my county). Said he was homesick. Think it was chicken nuggets. A thousand of them. A young lady's bed fell apart (also not Brevard County). Fixed. Goodnight again.